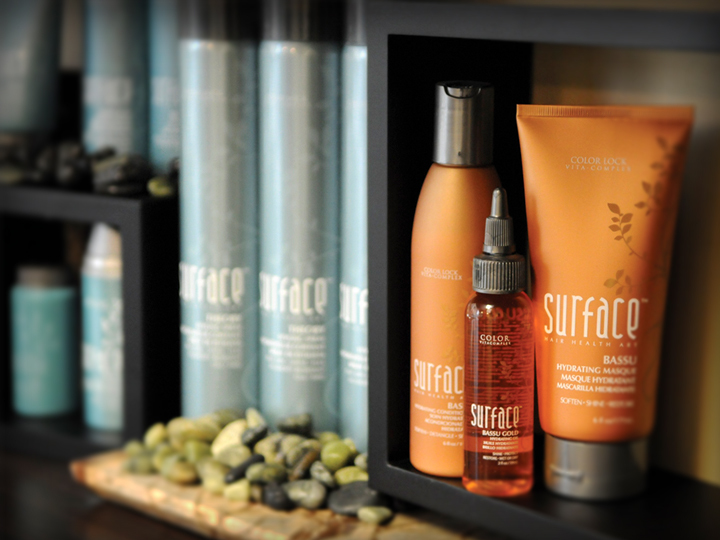 Our newest line of hair care products is from Surface. These products are based on certified organic botanicals. The products are sulfate-free, paraben-free, gluten-free, and vegan. As with all of the products that the Becky Houghton Studio offers, I have tested these on my own hair and that of my children. I have found them to be gentle, effective, and they make hair look great. Learn more about this line of products at the Surface website here.